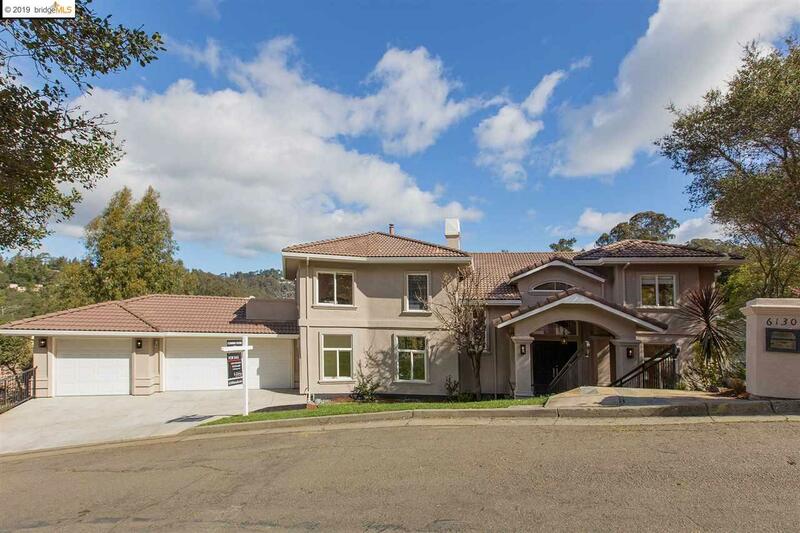 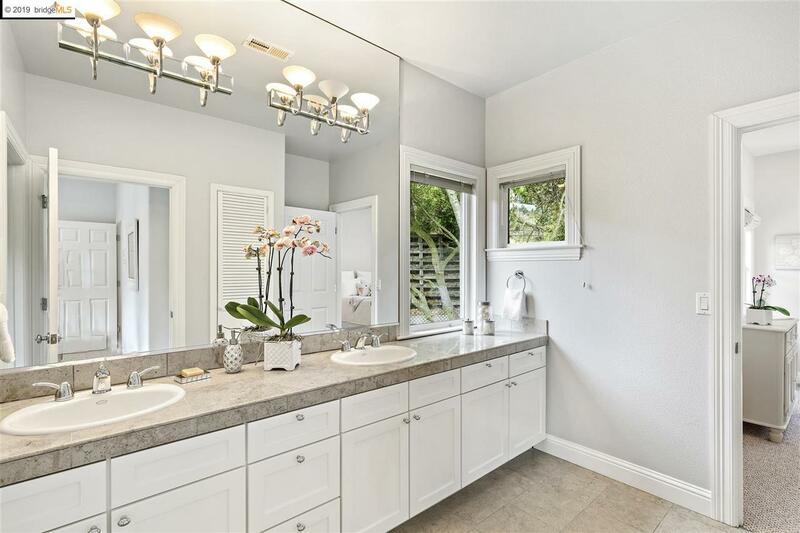 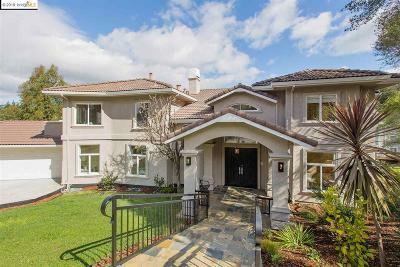 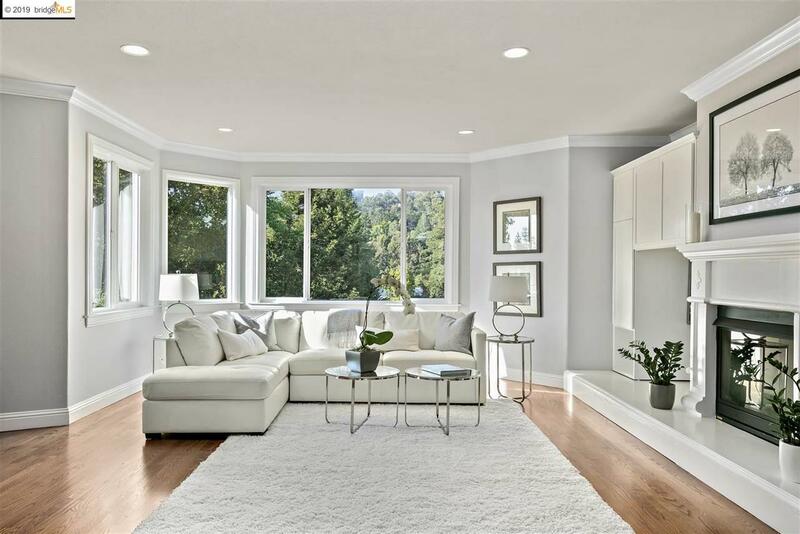 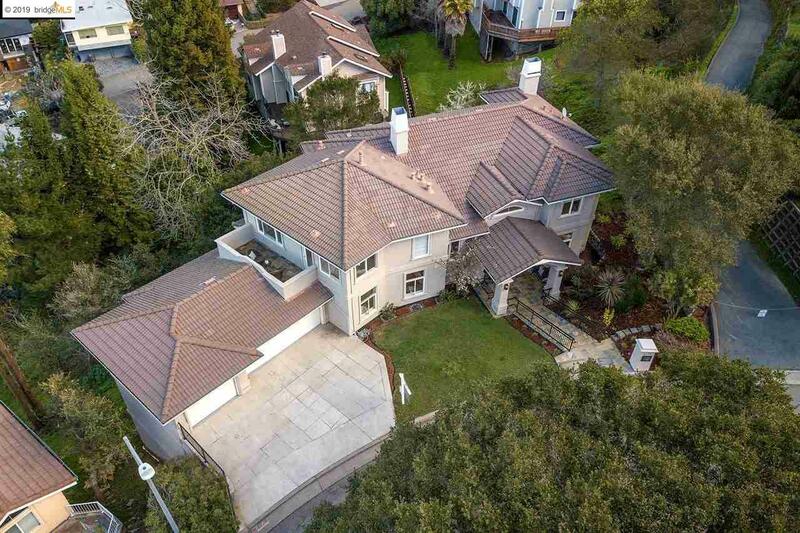 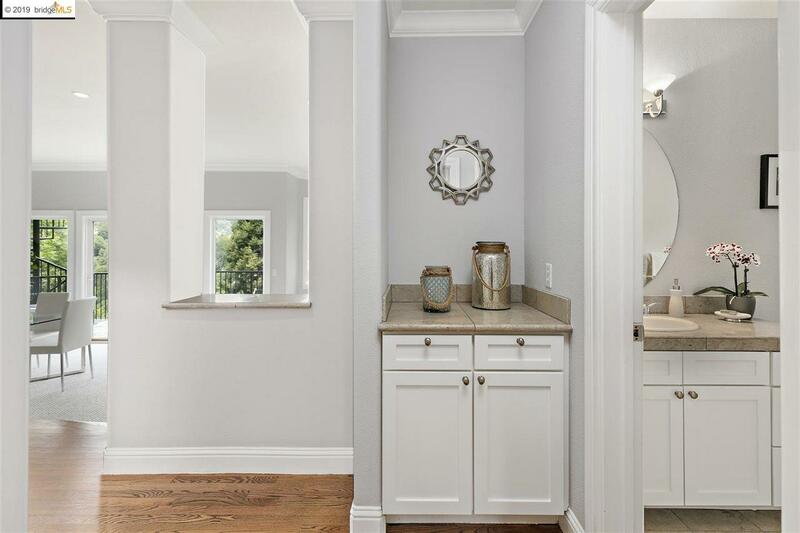 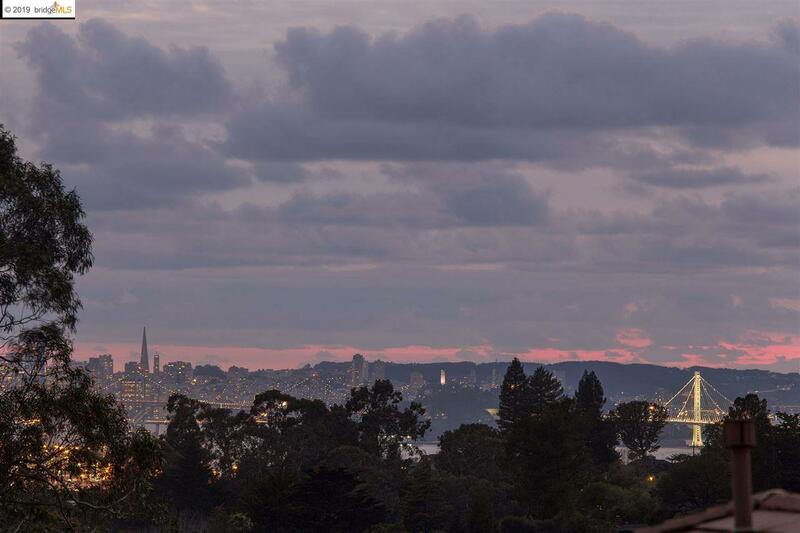 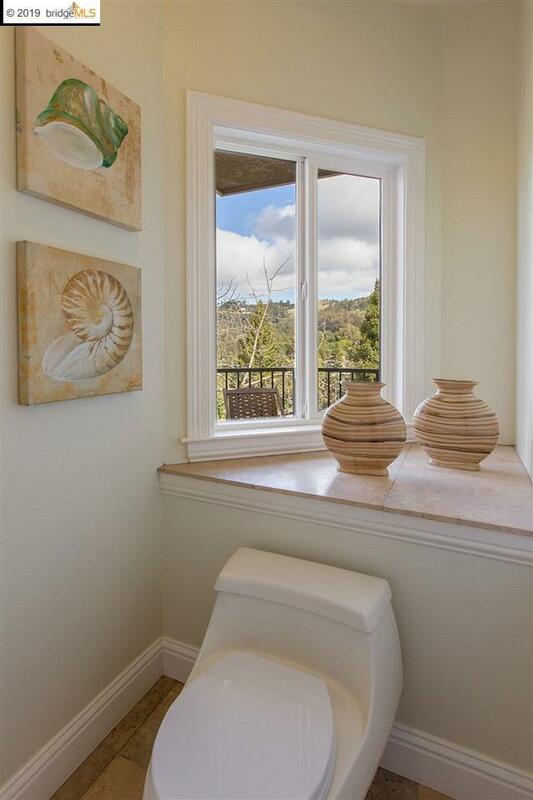 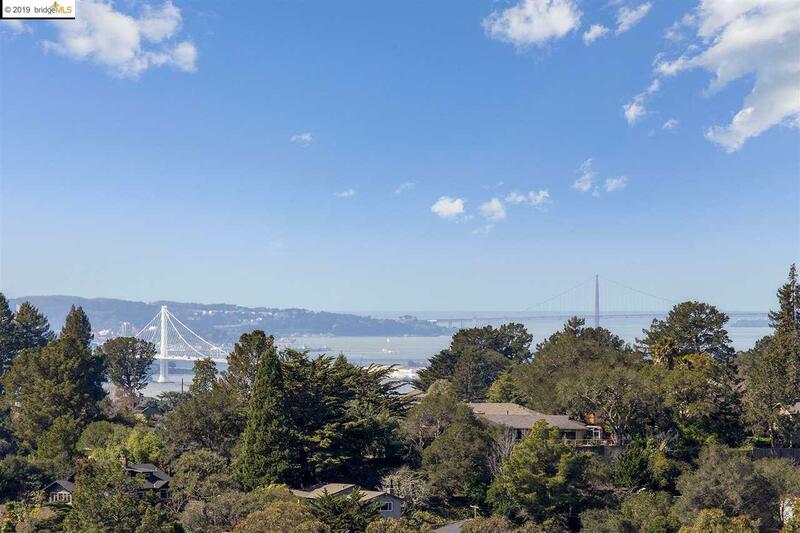 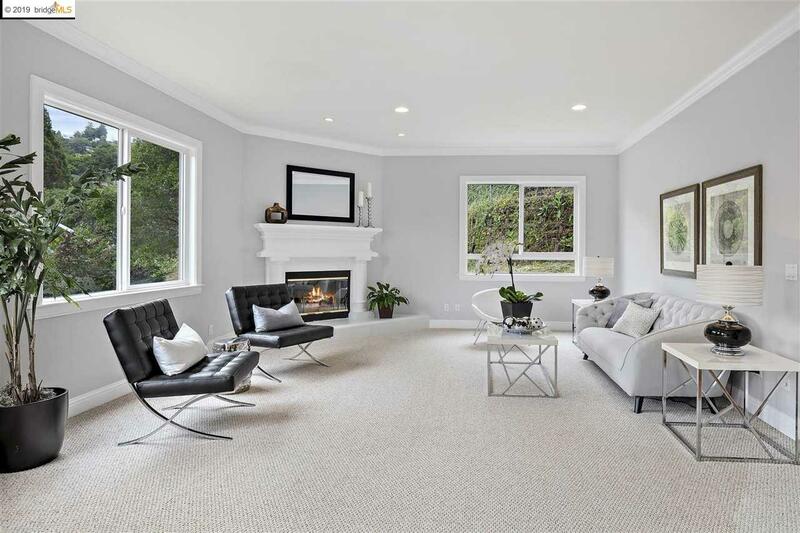 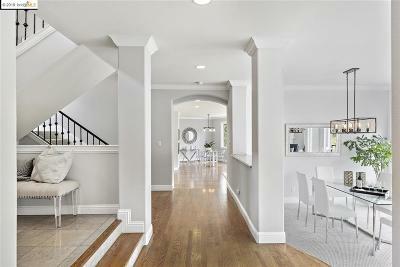 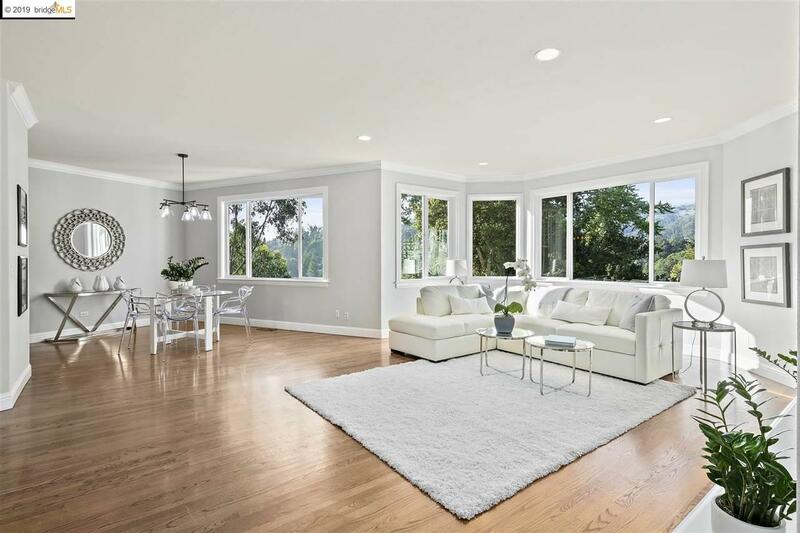 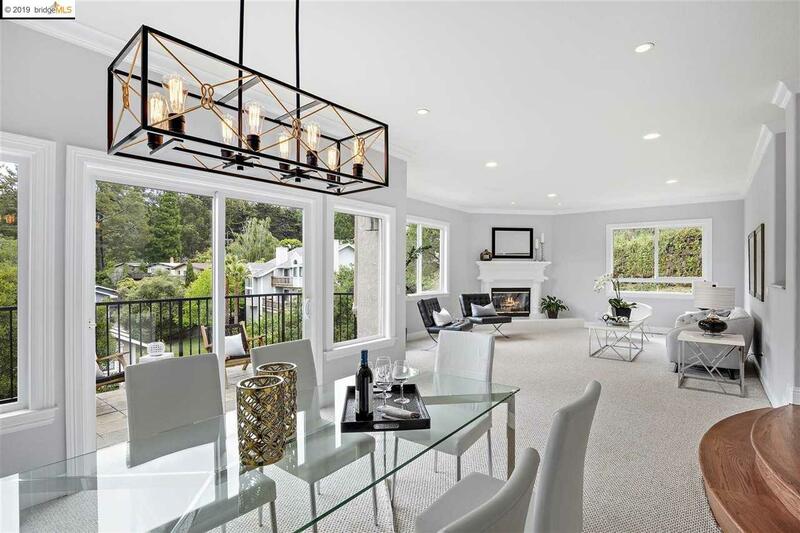 Don't miss this distinctive home conveniently located to Montclair Village, freeways and BART. 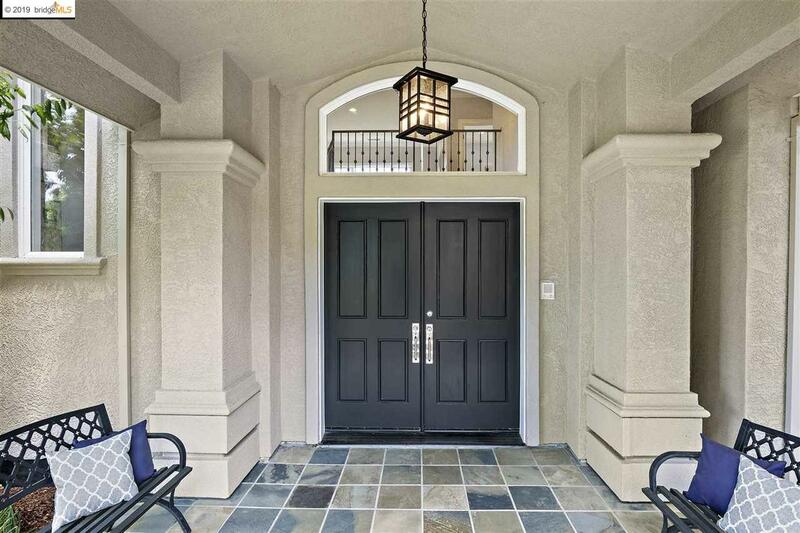 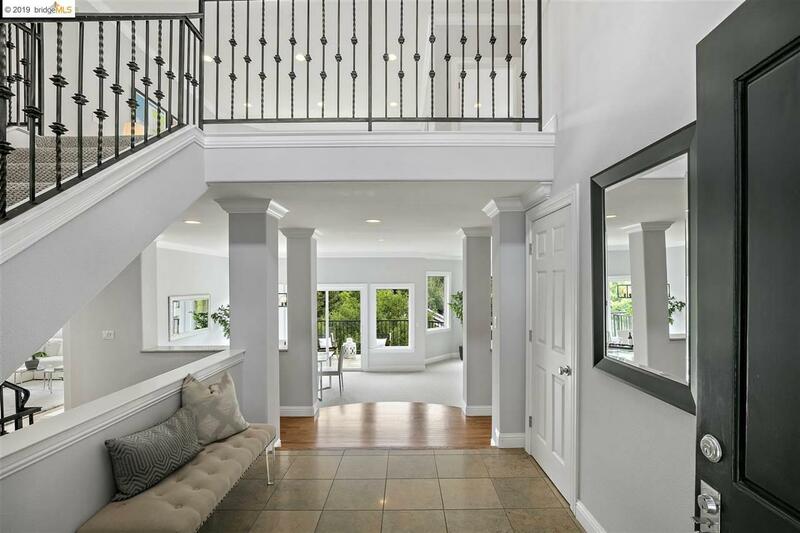 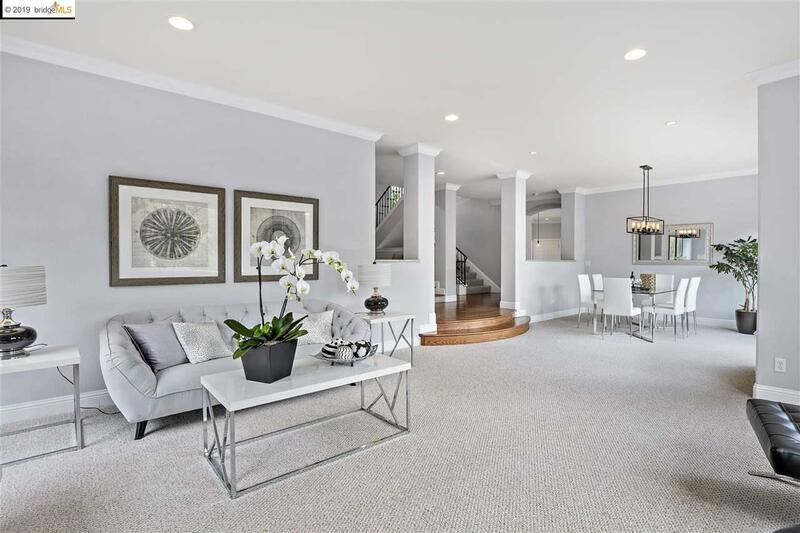 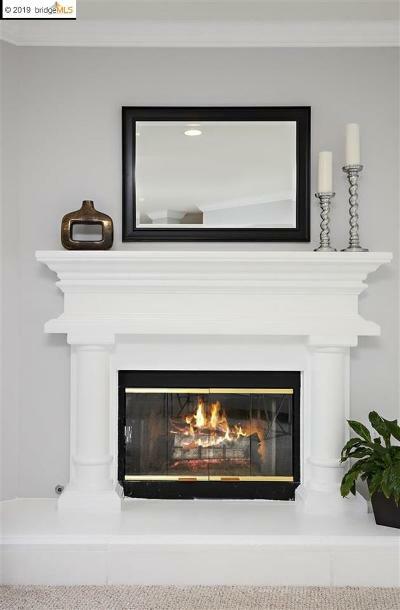 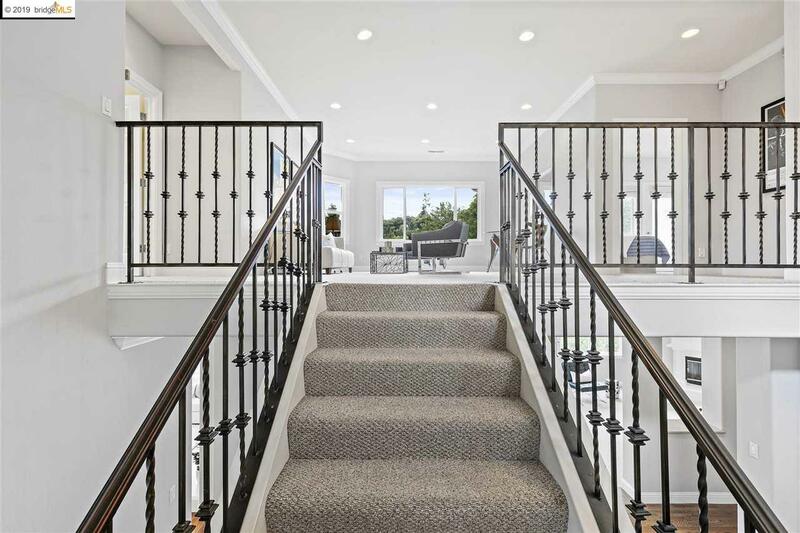 Enter the main level through the sophisticated foyer or the expansive three car garage. 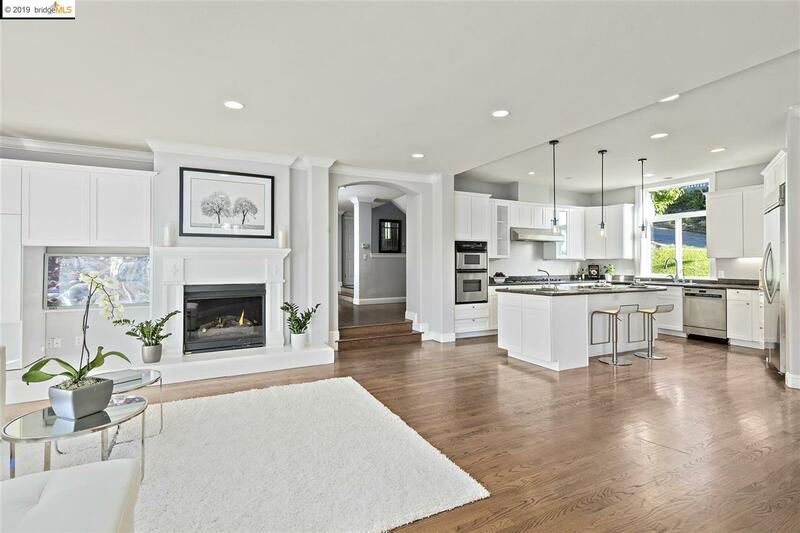 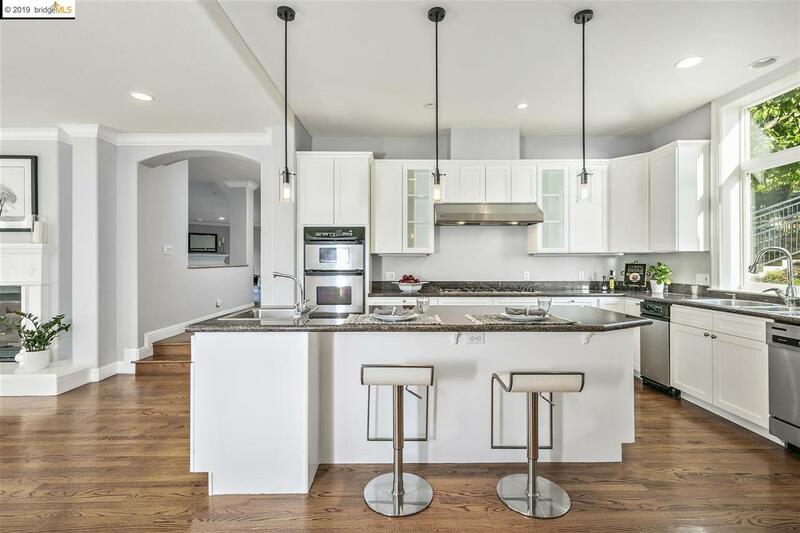 On this level is a beautiful kitchen that opens into an eating area and family room with fireplace. 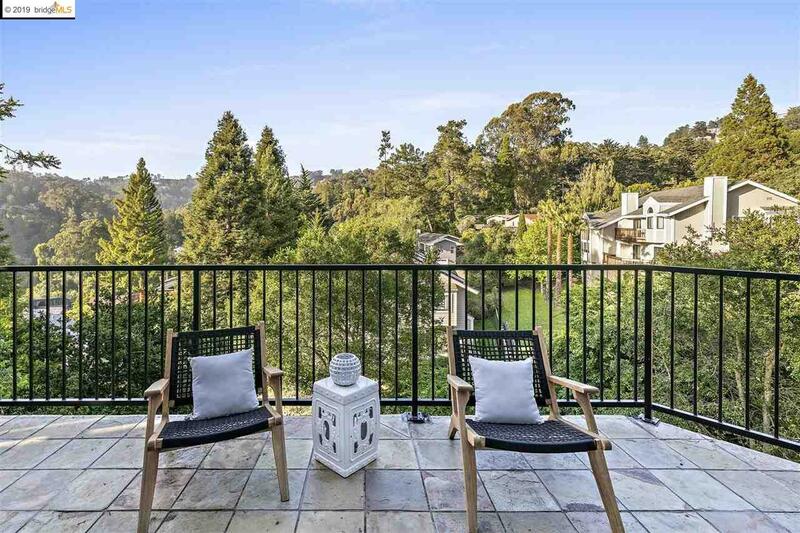 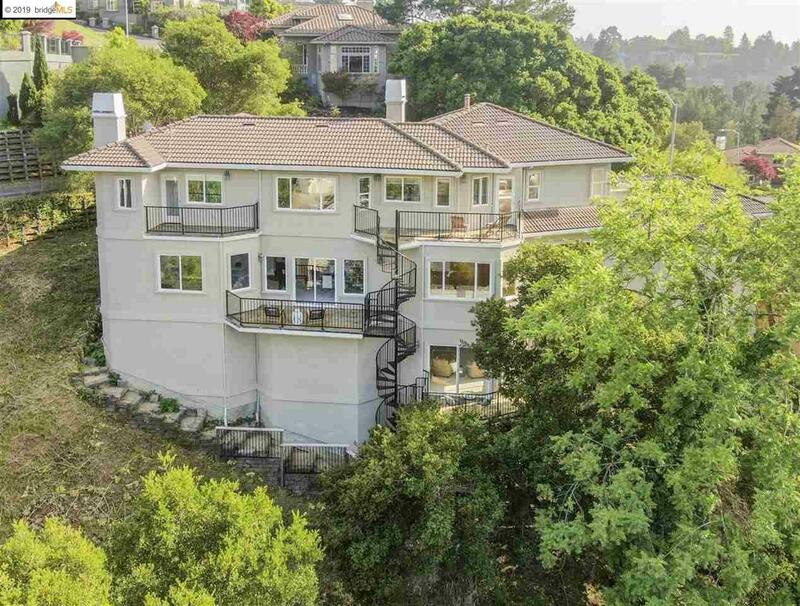 This space is perfect for entertaining and includes a deck overlooking the idyllic canyon views. 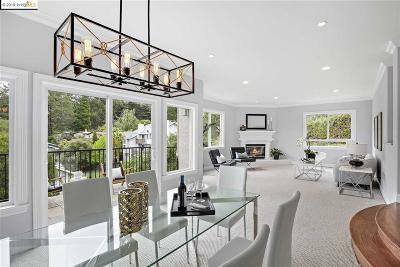 There is also a large dining area and appealing formal living room with a fireplace, also with hillside views. 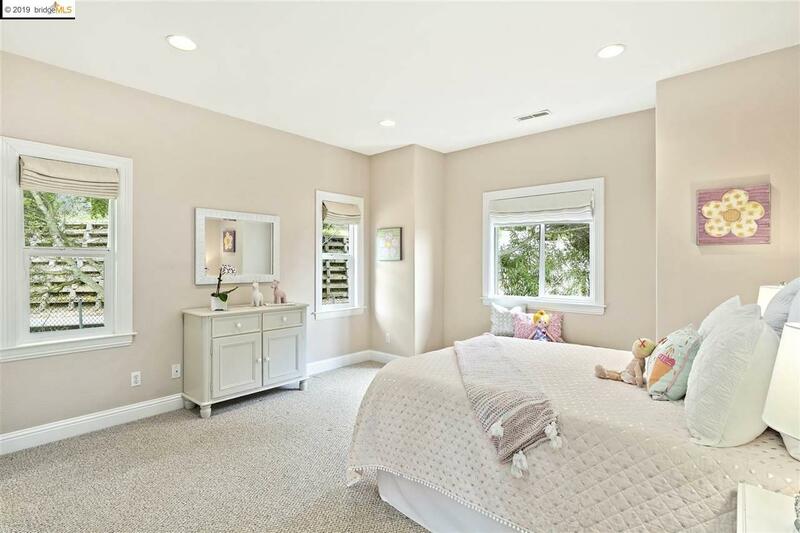 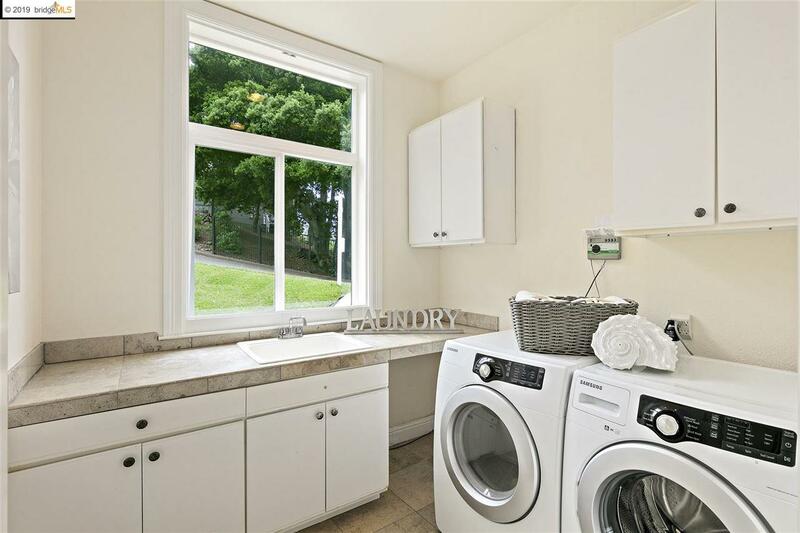 A guest suite and laundry room completes this floor. 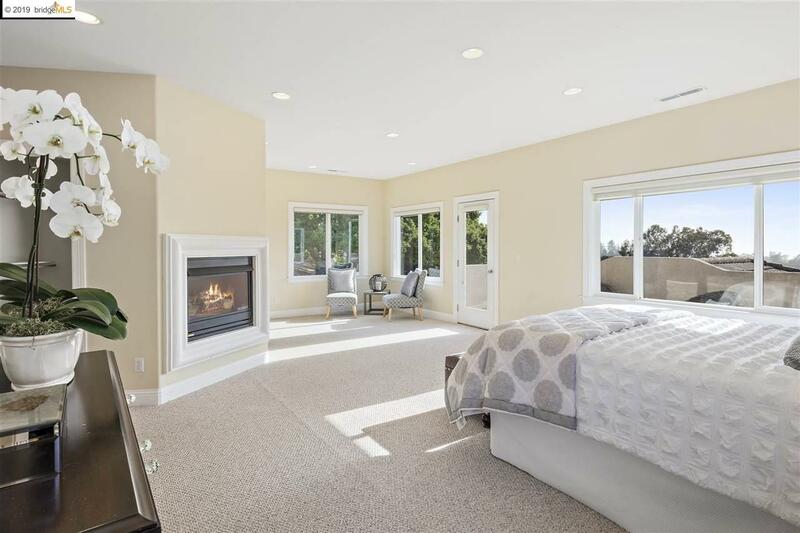 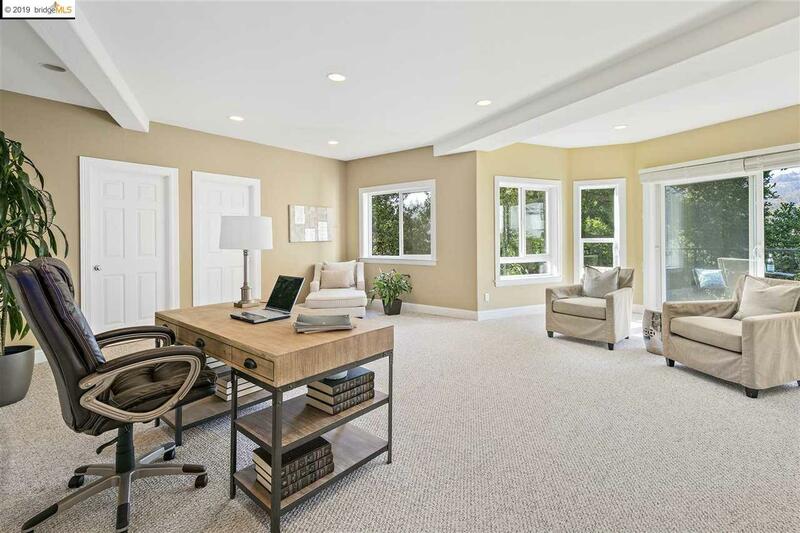 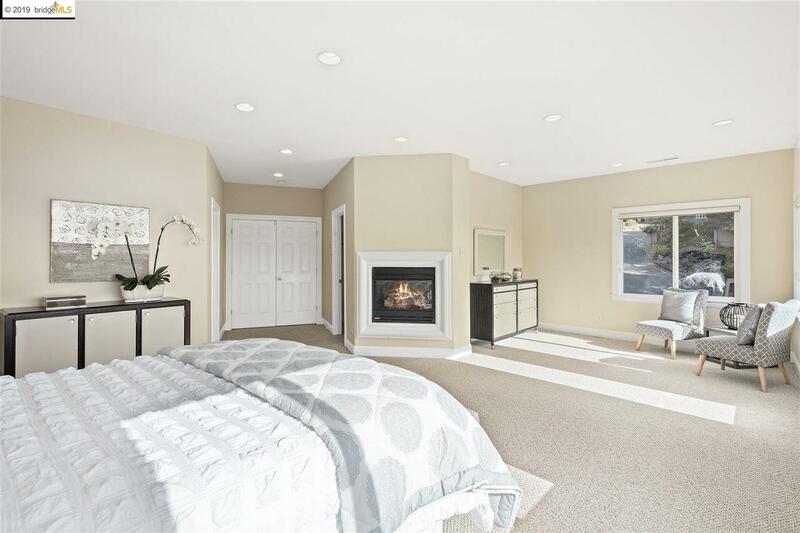 The upper level includes an enormous master suite featuring two outdoor decks with bay views, sitting room, fireplace, expansive walk-in closet and large master bath. 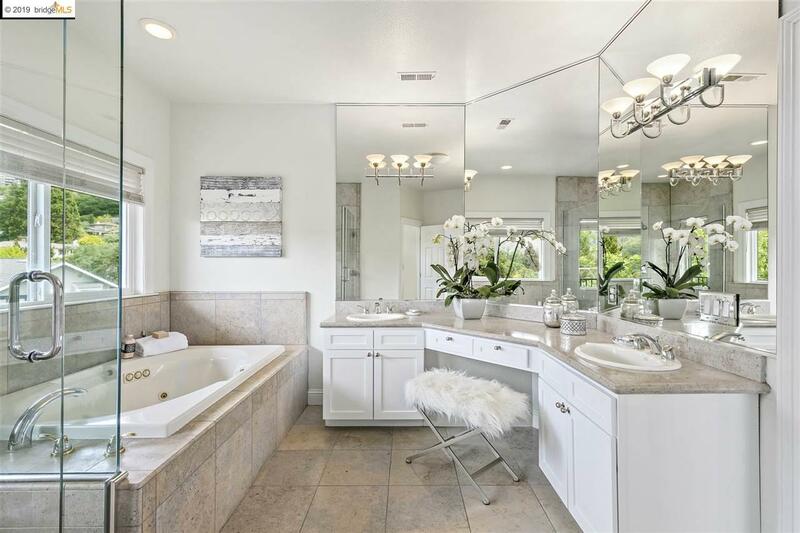 This level also has two additional bedrooms that share a full âJack & Jillâ bath. 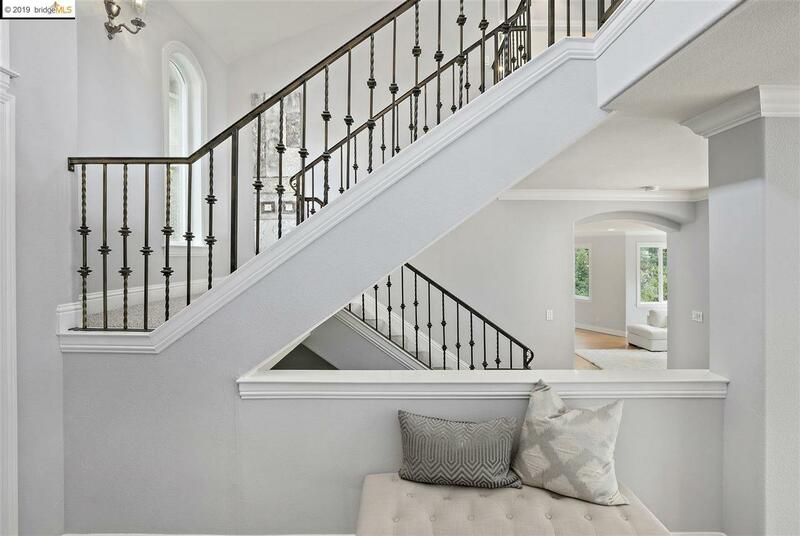 A large bonus space at the top of the stairs is perfect for a library or children's play space. 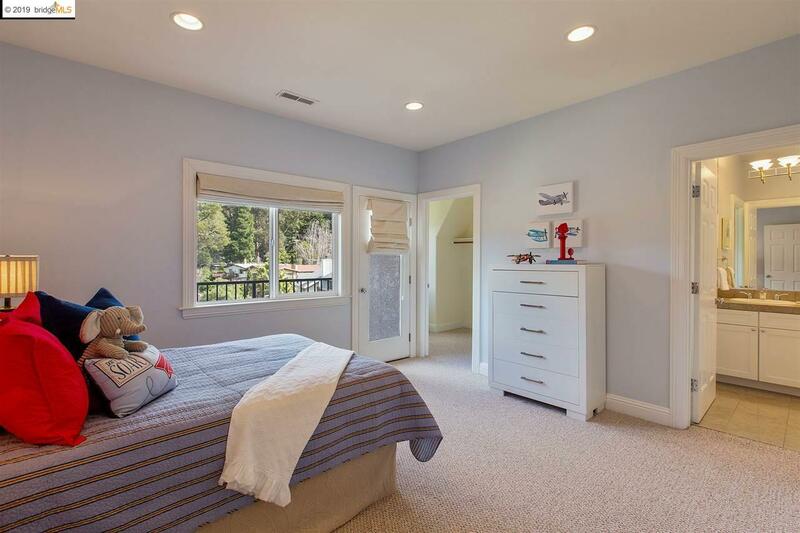 The lower level features an expansive bonus room with full bath and deck ideal for a rec room/in-law/office.